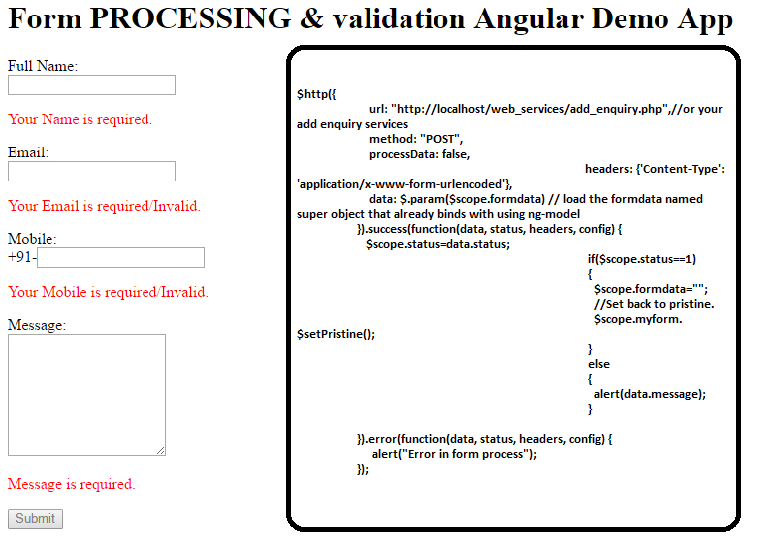 In this tutorial you will learn form processing and validation in angular js. where i have focused on validation in angular js, and after validation save the formdata to server/database using webservice. here we’ll create a submit form named function in controller of this view to submit the information over server. but this function will call only when our form passes all validations. >Define form name attribute is must for validation , we have take myform as form name. Note: Or write your own code just like a normal post of form. Comment here if you face any problem in this Thanks.